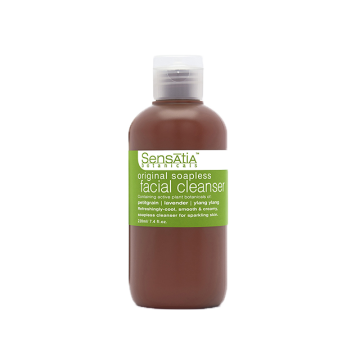 Nurturing cleanser to encourage healthy, vibrant skin. Mmmm, Like walking through a freshly blooming rose garden on a dewy spring morning, cleopatra’s rose facial cleanser is sure to remind you of all that you love. 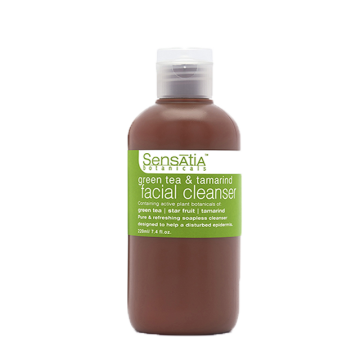 The most important part of maintaining clear, healthy skin is regimented cleansing. So why not enjoy every second of it? A delectably-rich & soothing blend of pure geranium leaf, lemon peel & rose damask essential oils tickled with the light-yet-refreshing touch of strawberry & hibiscus extracts. Truly a five-star blend cleopatra herself would be proud to covet. Water (Aqua), Decyl Glucoside, Aloe Barbadensis (Aloe) Leaf Juice, Vegetable Glycerin, Xanthomonas Campestris (Xanthan) Gum, Sodium Citrate, Triticum Vulgare (Wheat) Germ Oil, Fragaria Vesca (Strawberry) Extract , Montmorillonite (Red Clay), Pelargonium Graveolens (Geranium) Oil, Tocopherol (Vitamin E), Citric Acid, Benzyl Alcohol & Benzoic Acid & Dehydroacetic Acid, Citrus Medica Limonum (Lemon) Oil, Hibiscus Sabdariffa (Roselle) Flower Extract, Pelargonium Asperum (Geranium) Extract, Rosa Damascena (Rose) Extract.